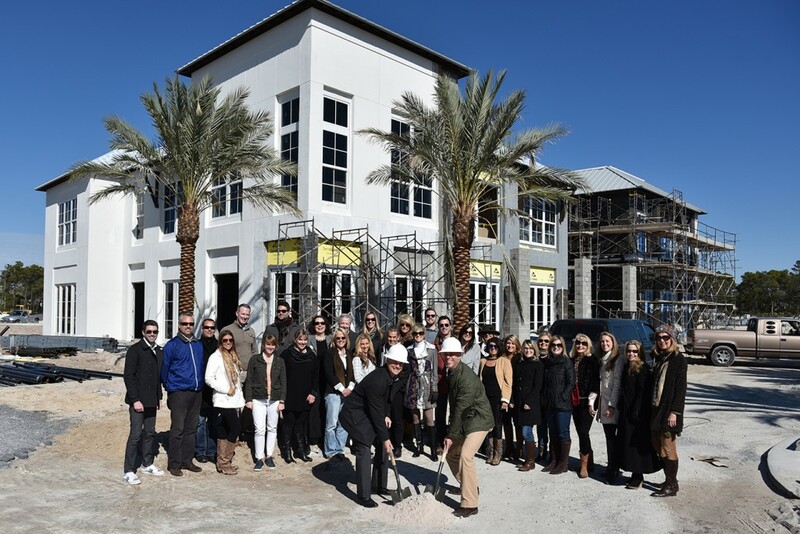 Today, we held a dirt turning ceremony and hosted a walkthrough of our new 30Avenue location in Inlet Beach. Scheduled to open in January, the office will enhance our service to the east end of 30A in an unprecedented way. Our Broker Owners Blake Morar and Chris Abbott also announced long time sales associate Casey Joiner as a new member of our management team. We’re proud to see Casey transition to a managerial role within the company. He has been with us in a sales capacity since 2009 and has earned the deep respect of his peers, who he will now guide and support at the new location. By adding this location, we’re more than doubling our footprint, and will finally have room to welcome additional agents. It is important to us that, as we grow, we maintain our collaborative culture, and Casey will play a vital role in making sure we do so. Over the course of his career, Casey has held positions as project manager and director of sales at some of the world’s top real estate and development companies including Intrawest, The KOR Group, and Turnberry, in beautiful resort locations such as Palm Springs, California and Playa Del Carmen, Mexico. We’re in the recruiting process now, and looking to grow by adding 15 agents by the spring. Our new 30Avenue office will carry the momentum of our global brand to the east end of 30A, and create a true bookend to our service area. The 4,100 square foot 30Avenue office will feature a reception area with interactive Touch Gallery, guest lounge with adjoining terrace, two state-of-the-art conference rooms, private phone rooms, as well as dedicated desk space for 32 agents, 12 on-the-go work stations, plus additional work stations for support staff. Some of our 26 existing agents are electing to move to the 30Avenue office, but most say they plan to remain at our Blue Mountain Beach location.